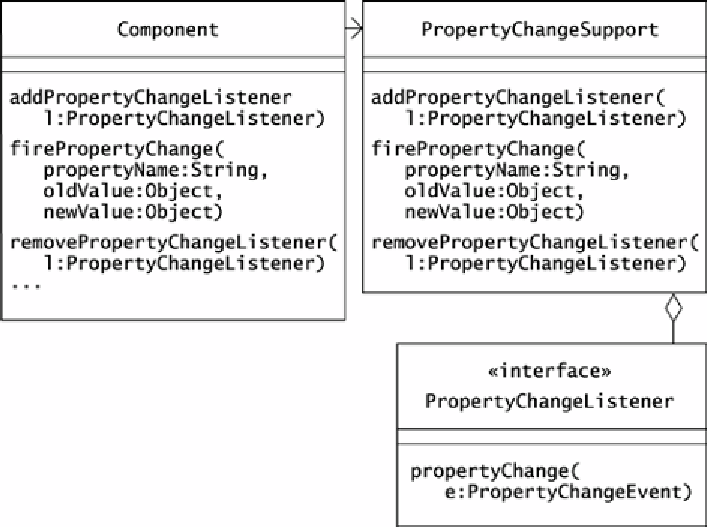 although it uses a PropertyChangeSupport object instead of an Observable object. the Component class from java.awt and the PropertyChangeSupport class. maintains a collection of listeners.